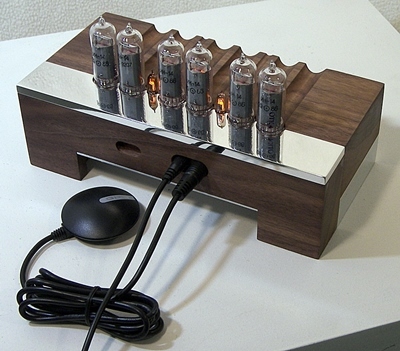 sets the time and date and is accurate to the second all of the time. The contrast between the oiled walnut and polished aluminum is quite dramatic. 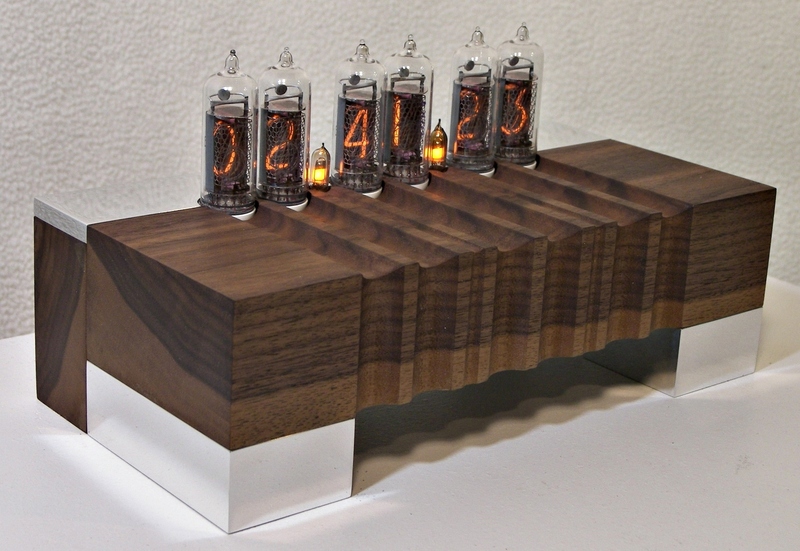 This nixie clock design projects the tubes into the wood in the form of scalloped reliefs.